Put Carlson Wagonlit Port Credit Travel’s years of expertise to work for you! 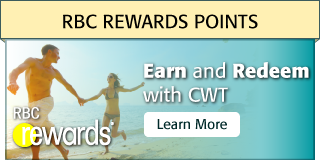 When you choose Carlson Wagonlit Port Credit Travel, you’ll benefit from a dynamic, experienced team committed to matching you with a vacation you’ll never forget at a price you won’t believe. Contact us today to learn about our wide-ranging travel packages designed to fit every budget. Based in Mississauga, Carlson Wagonlit Port Credit Travel is proud to help clients reach every corner of the world. We have a full array of vacation packages that fit every adventurous appetite and fit every budget. Backpack through Europe or sail the seven seas in complete luxury. At Carlson Wagonlit Port Credit Travel, the choice is yours. Count on our team’s years of industry expertise and superior negotiation skills to get the best rate on your next group vacation! Give us a call to tell us about your group’s destination and itinerary needs and we’ll get to work finding the best hotels and travel accommodations available. 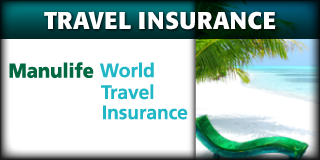 Our team is proud to offer a full range of travel insurance options from Manulife Insurance, a renowned leader in vacation and travel insurance. Visit our Insurance page for more information! Learn about our team’s individual certifications and specialties on our About Us page!